Eric Chahi (Another World, From Dust) today reveals his new playful exploration game for the “PlayStation VR”: Paper Beast. Developed by his new independent studio Pixel Reef, Paper Beast sees players set foot in an unexplored, artificial world where delicate bonds are formed with emotionally stirring creatures. The game will be released on “PlayStation VR” in 2019. Paper Beast allows intrepid player-explorers to discover a blossoming virtual world where the environments and quirky animals have independently evolved from lost code and forgotten data. Following an unspoken narrative, players will interact with fascinating wildlife that adapts its behaviour to the player’s actions. 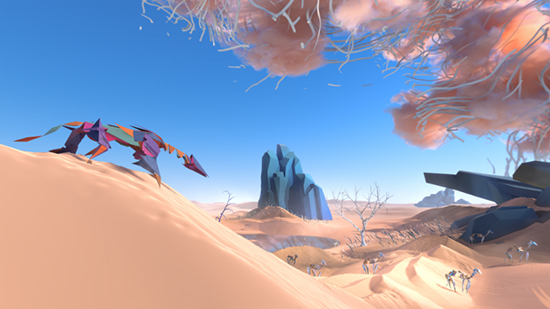 Paper Beast is a poetic fusion of VR technology and immersive gameplay experiences, with a deep simulation system at its core. From the creators of the award-winning sci-fi game Out There comes Sigma Theory: Global Cold Trailer after the break.